Straw green color. Rustic, interesting aromas of stuck match, gun smoke, fennel and apple salad, grape-scented cigarillo, and cannabis with a round, crisp, off-dry medium body and a polished, interesting, medium-length caramelized pineapple, grilled peach, and mango yogurt finish. There’s plenty of exotic, smoky notes to discover in this riesling; a wine that rewards the curious. 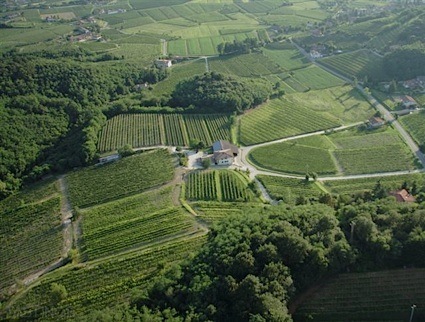 Bottom Line: There's plenty of exotic, smoky notes to discover in this riesling; a wine that rewards the curious. 83 • Armstrong Valley Winery 2014 Reserve, Pinot Noir, Pennsylvania 13% (USA) $20.00. 87 • Armstrong Valley Winery NV Semi-Dry, Pinot Gris, Pennsylvania 13.2% (USA) $16.00. 84 • Armstrong Valley Winery NV Semi-Sweet, Pinot Gris, Pennsylvania 12% (USA) $16.00. 90 • Armstrong Valley Winery NV Moscato, Pennsylvania 13.2% (USA) $15.00. 84 • Armstrong Valley Winery NV Niagara, Pennsylvania 13.2% (USA) $16.00. 84 • Armstrong Valley Winery NV Riesling, Pennsylvania 13% (USA) $18.00. 87 • Armstrong Valley Winery 2016 Estate Reserve, Chardonnay, Pennsylvania 13.5% (USA) $20.00. 84 • Armstrong Valley Winery 2017 Estate Reserve, Chardonnay, Pennsylvania 14% (USA) $20.00. 88 • Armstrong Valley Winery 2017 Reserve, Riesling, Pennsylvania 14% (USA) $20.00. 86 • Armstrong Valley Winery NV Pinot Grigio, Pennsylvania 14% (USA) $16.00. 86 • Armstrong Valley Winery NV Semi-Sweet, Moscato, Pennsylvania 12% (USA) $15.00. 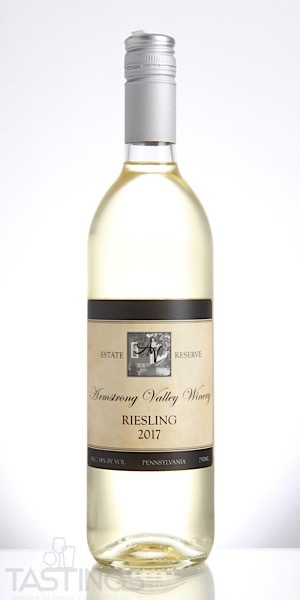 Armstrong Valley Winery 2017 Reserve, Riesling, Pennsylvania rating was calculated by tastings.com to be 88 points out of 100 on 11/2/2018. Please note that MSRP may have changed since the date of our review.